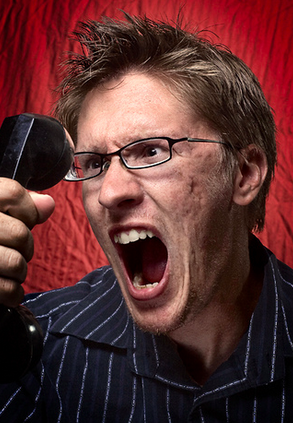 There are few things more disruptive and frustrating than receiving a phone call demanding you pay a debt. Those feeling are amplified a thousand times when you don’t actually owe a debt. Yet, that was the case for consumers contacted by a Georgia-based company that was recently shut down at the request of the Federal Trade Commission. A U.S. district court put a stop to two debt collection operations that employed threats and deceptive tactics in attempts to collect $3.5 million in payday loan debts that consumers didn’t actually owe, the FTC announced on Tuesday. The court previously ordered the assets of Williams, Scott & Associates, LLC; WSA, LLC and operator John Williams frozen to preserve the possibility that they could be used to provide redress to consumers, and appoint a receiver. According to the complaint, the companies falsely claimed to be affiliated with federal and state agents, investigators, members of a government fraud task force, and other law enforcement agencies, and pretended to be a law firm. Consumers were also allegedly told their drivers’ licenses were going to be revoked, and that they were criminals facing imminent arrest and imprisonment. Investigators found that many of the consumers who were contacted by the company didn’t actually owe any payday debt. Instead the FTC alleges customers had inquired about a payday loan online at some point and submitted their contact information. That personal data later found its way into the defendants’ hands. The FTC alleged that the defendants’ tactics violated the Federal Trade Commission Act and the Fair Debt Collection Practices Act. In addition to the deception and false threats, the defendants violated federal law by telling consumers’ family members, employers, and co-workers about the debt; failing to identify themselves as debt collectors; using profanity; making repeated inconvenient or prohibited calls; failing to provide information in writing about the debt; and making unauthorized withdrawals from consumers’ bank accounts. Previous What Happens To Your Plane Ticket When There’s A Death In The Family?